The eDermastamp is an advanced electronic form of Medical Skin Needling aimed at stimulating the body’s own collagen and elastin to improve the skin’s texture and appearance. The novel hand-piece has a small head with six precision microneedles, which can be accurately controlled by adjusting the needle depth and needle speed per second. The resulting skin rejuvenation can reduce the appearance of fine lines, as well as wrinkles, pores and scars. 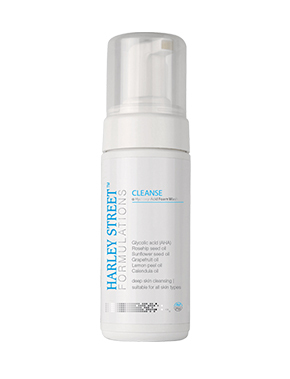 Hands, neck and décolletage rejuvenation. Medical Skin Needling, also known as Collagen Induction Therapy (CIT), rejuvenates the skin by producing numerous micro channels in the skin, which encourages the formation of collagen and generates new skin cells. After a topical numbing cream has been applied, the skin is thoroughly cleansed and degreased. The eDermastamp single-use, sterile needle headpiece is then set to the correct speed and depth for the treatment area and moved over the skin to create many microscopic channels. With medical needling the depth is within the papillary dermal layer of the skin where collagen and elastin fibres are located. The tiny punctures close over almost immediately as the channels are very small. The ‘trauma’ to the dermis encourages the skin to repair itself by producing new collagen and elastin, and generating new skin cells. This results in thicker, plumper and more youthful skin. Before Treatment (left most). After Treatment with eDermastamp (2nd from left), Mask (3rd from left). After 8 hours (right most). Treatment is not advised within 2 weeks of other injectables such as dermal fillers or botox. However, it can be performed after this period. Raised moles and skin lesions are avoided during a treatment. Skin conditions such as rosacea, eczema and psoriasis. Active skin infection such as a cold sore. Scleroderma and collagen vascular diseases. Other medical conditions such as immunosuppression and diabetes. An initial consultation will take place to discuss current skincare regimes and skin concerns. Certain skin products containing vitamin A and C may be recommended to aid the production of new collagen and to help achieve the desired results. Before and after photos of the eDermastamp treatment area will be taken for comparison. Prior to the eDermastamp procedure, a topical cream will be applied to both numb the treatment area and minimise any discomfort. Dermaroller CIT solution, containing concentrated hyaluronic acid gel, will be used in conjunction with the eDermastamp to help lubricate and hydrate the skin. The headpiece will be moved in a circular motion over the skin allowing 50-150 pricks per second depending on the speed set. The depth of the needles will also be controlled depending on the area of skin. After the facial eDermastamp procedures have taken place a mask containing hyaluron and matrixyl will be placed over the skin to help soothe and refresh. After this, an SPF will be applied and skin care post treatment will be advised. The skin will appear flushed and may feel tight and sensitive for a few days following the treatment. 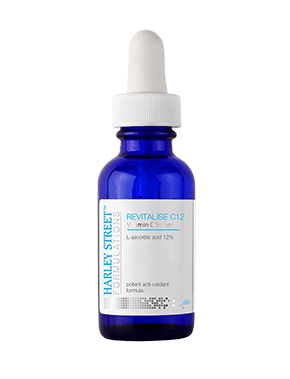 Each client will receive PRESCRIBED Solutions Control Tactics gel to help reduce redness and inflammation. There are minimal side effects, which include, mild swelling, peeling and very occasional bruising. Infection is very unlikely as the micro channels close within minutes of treatment. 3 treatments are usually recommended 5-6 weeks apart, but scars may require further treatments. Touching or rubbing the face. 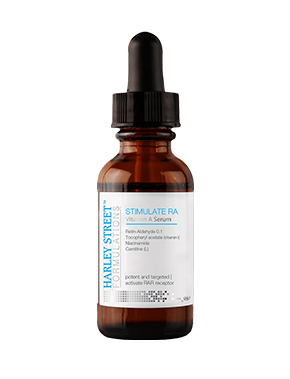 Retinol, alpha hydroxyl acids (such as glycolic acid) and any ‘active’ product that could irritate the skin. What Is The Downtime After EDermastamp Treatment? The skin may appear red for the first 48 hours and there may be very mild peeling and tightness/dryness. Most people can return to work within 1-2 days. 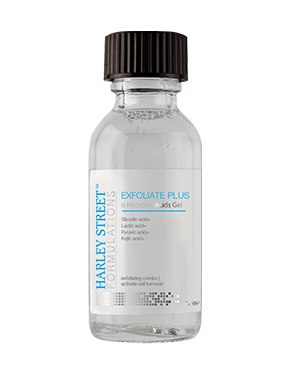 The skin texture will start to improve after 6-8 weeks with new collagen formation. The eDermastamp is electrically controlled for speed and depth with a smaller treatment head, allowing for greater accuracy and precision in hard-to-treat areas. It is beneficial for larger treatments areas with a larger cylindrical head that is manually operated, so the practitioner can vary the intensity of the treatment.